Engage. Mentor. Support. Communicate. Partner. Educate. 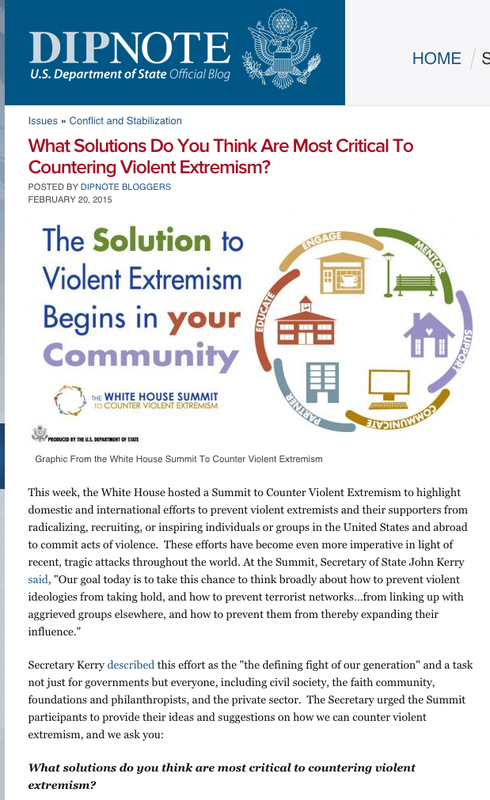 These are the weapons we’ll use to destroy violent extremism. ISIS’s days are numbered. “This issue (the elections) is not a purely domestic issue for America, but it is the defeat of Bush’s hawkish policies in the world,” Khamenei said in remarks reported by Iran’s student news agency ISNA on Friday. I find it quite disconcerting that our enemies rejoice when Democrats gain back some power. Maybe they hope for the return of the Clintonian foreign policy: talk a lot, lob some Tomahawks, and flee if soldiers start dying. Seattle police later arrested the alleged gunman, who reportedly had walked into the building between Lenora and Virginia streets on Third Avenue in Belltown and started shooting. One victim died at the scene, according to police. All five of the wounded are women, said Pamela Steele, a spokeswoman for Harborview Medical Center in Seattle. The women, ranging in age from 20 and through their 40s, were brought in between 4:30 and 5 p.m. Three victims are in the operating room now and are in critical condition, Steele said. All three were shot in the abdomen. It doesn’t mention until almost halfway through the story that the man claimed to be “a Muslim American” who was “angry at Israel.” These people are our enemies living in our own country, and we need to name them as such. Here’s a quick round up of blogger reaction over at Instapundit. I have the same sentiments as them, including this one: “Me? I’m going to buy a gun. I’m serious.” Something like this would have stopped the dirtbag, keeping the body count to one — the bad guy. Al Zarqawi was killed today. 2 500 pound bombs obliterated his safe house. You’d think after some explosions like that every body in that building would be crushed or blown to bits. However, seeing pictures of Zarqawi’s corpse, it looks like it’s in pretty good shape. Of course I’ve only seen the head, maybe the rest of the body is in a much worse state. As long as I’m bringing up war issues, I might as well continue. Newly released documents clarify Saddam’s links to terrorist networks and to Al-Qaeda. Read about it here, and here. A newly released prewar Iraqi document indicates that an official representative of Saddam Hussein’s government met with Osama bin Laden in Sudan on February 19, 1995, after receiving approval from Saddam Hussein. Bin Laden asked that Iraq broadcast the lectures of Suleiman al Ouda, a radical Saudi preacher, and suggested “carrying out joint operations against foreign forces” in Saudi Arabia. According to the document, Saddam’s presidency was informed of the details of the meeting on March 4, 1995, and Saddam agreed to dedicate a program for them on the radio. The document states that further “development of the relationship and cooperation between the two parties to be left according to what’s open [in the future] based on dialogue and agreement on other ways of cooperation.” The Sudanese were informed about the agreement to dedicate the program on the radio. I have a feeling we’ll be seeing a lot more of this stuff as the tens of thousands of pages of Saddam regime documents get translated and analyzed.